The expansion announcement comes in advance of the 2018 Fall Recruiters Network recruiting conference and networking event schedule, with many of the events to kicking off in October 2018. “We are very excited to announce the official launch of Chicago Recruiters to continue building our footprint and further supporting the professional development for recruiting and human resources professionals throughout the greater Chicago area,” said Matt Duffy, President of Chicago Recruiters and Director of Partner Relations at Carex Consulting Group. The inaugural Chicago Recruiters half-day Recruiting Conference will be held on October 24, 2018, at Venue SIX10 in Chicago, and will feature keynote speakers including Maisha Cannon and Matt Grove. Companies including Glassdoor, Jobvite, CareerBuilder, SignalHire and more have also joined the organization as sponsors. Additional event information can be found at the Chicago Recruiters website, http://www.RecruitChicago.com. 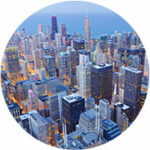 Chicago Recruiters is a leading network for recruiting and human resources professionals. The organization provides professional development, continuing education and peer networking through its’ conferences, connected online community, and website at https://recruitchicago.com. Chicago Recruiters is a part of the national Recruiters Network. The Recruiters Network provides cost-effective and leading-edge professional development, continuing education and peer-to-peer networking opportunities to thousands of members by producing some of the largest regional recruiting and human resources conferences in the nation. For more information, visit https://www.recruiters.network.